We provide the a state of art Rotary Calcination Plant, which adds value to the industrial minerals like Kaolin, Bauxite, Bentotine, Ball Clay etc. Our design is approved and recknoginzed by Engineers India Ltd.
We stand as one of the leading manufacturers of Calcined Bauxite Rotary Kiln, manufactured from superior quality of raw materials. Some of the attributes of these machines are durability, robust, efficiency and cost effectiveness.These are fired with Petcoke, Oil, Gas and Coal Gas. We also provide dual fire option as well. 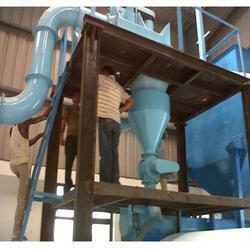 We are well known manufacturer of the wide range of Dolomite Calcination Plant with two cyclone separators and allied accessories. Made by using high grade raw materials, these are produced in our latest technology laden production unit. Our machines are well capable of reducing the consumption of oil to 50% and black ash. With all international specifications in place, these machines are of highest quality. We are a well-known manufacturer of the wide range of Rotary Kiln Calcination Plant with two cyclone separators and allied accessories. Made by using high-grade raw materials, these are produced in our latest technology-laden production unit. 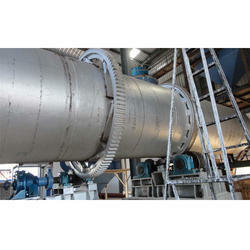 Our machines are well capable of reducing the consumption of oil and black ash. With all international specifications in place, these machines are of highest quality. 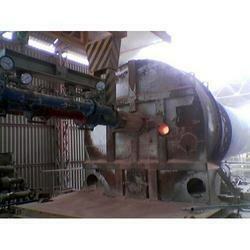 Looking for Rotary Kiln Calcination Plant ?